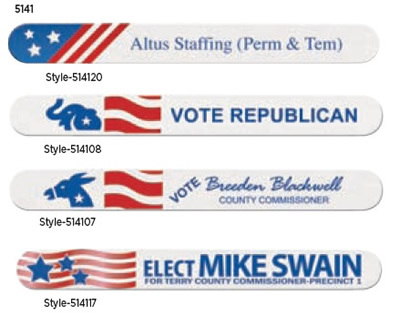 Customized Political Emery boards are excellent campaign advertising. Especially attractive and effective to target women voters. Emery boards are very popular with women. We can help you design all your products for your campaign and offer not only years of experience but free quotes. Shipping and handling is free (ground shipping within the USA)! An additional $50 non-refundable artwork charge per color must be paid before work can begin.